History---the study of the past---is something we all talk about, but how often do we really think about just what exactly History is? 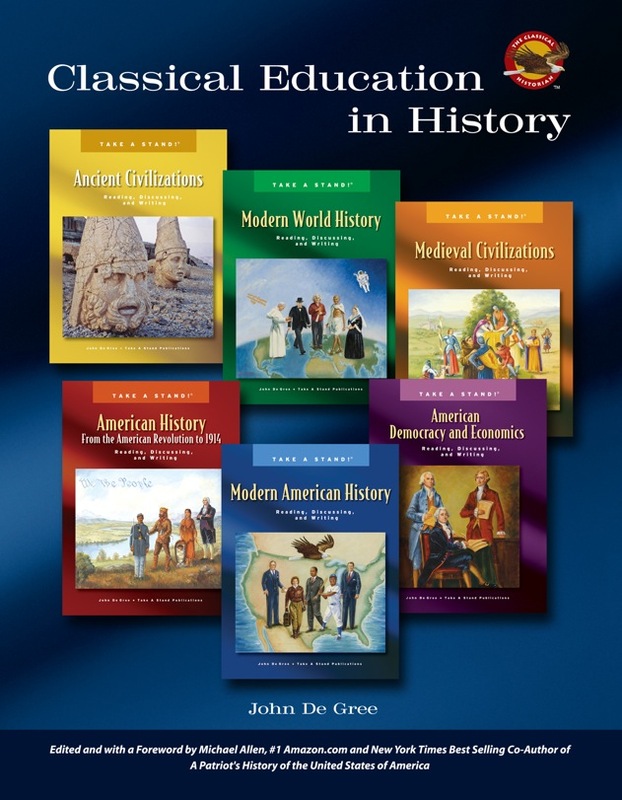 This booklet, Classical Education in History, by John DeGree, explains in clear, thoughtful language what History is and what historians do, and how parents and students can become better historians. How can we become better historians and teach our children well? In Classical Education in History, John DeGree begins by defining history and carefully explaining the methods of the ancient Greek scholars---the classical historians. He methodically teaches the reader how historians learned to gather evidence, cull that evidence, form conclusions about the past, debate those conclusions using Socratic Method, and then serve up their histories and conclusions in concise narrative prose and oral presentation. The aim of this classical scholarly method is no less than the search for historical truth. Every parent and teacher will benefit from reading Classical Education in History and utilizing its methods. The result will be a generation of history students who have learned how to reason, form truthful conclusions, and take their place as productive citizens. I hope that history will someday record the significance of the classical education movement to the American people.